PQplot nodal analysis software is at the heart of Petroleum Engineering. 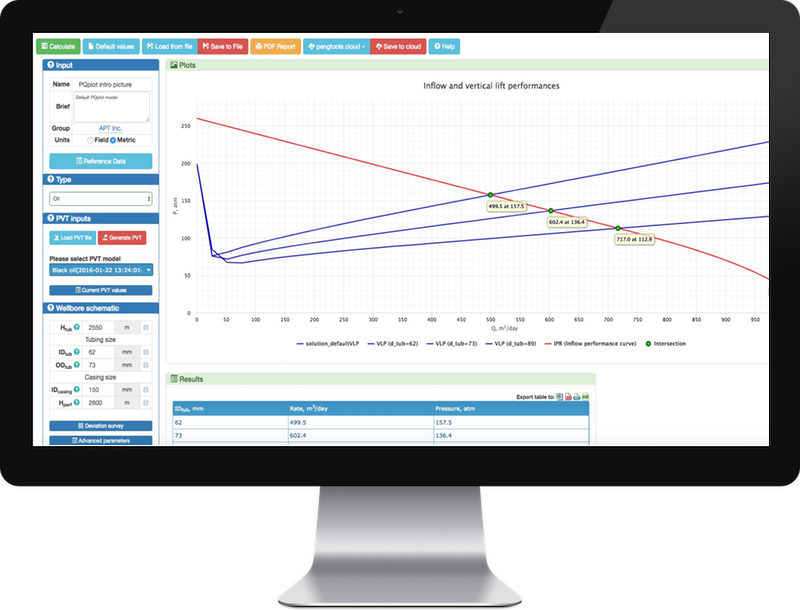 It calculates inflow performance relationship (IPR) and vertical lift performance (VLP) curves for oil and gas wells. Featuring multiphase flow correlations and sensitivity analysis. It features a simple and easy to use input screen and generates a robust output that can be saved and shared. PQplot is a business type Petroleum Engineering software for the Oil & Gas Industry at pengtools.com. PQplot software is platform independent. It works on any device and any operation system anywhere anytime.